Born and bred in the hub of innovative fashion that is Anthwep, Hedgren maintains its roots in a vibrant Belgian design scene. 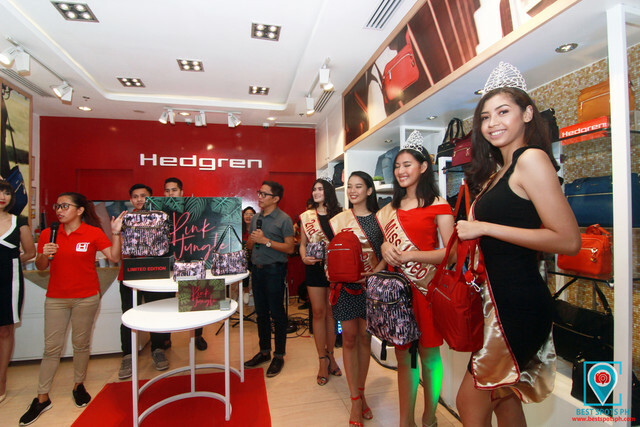 Established in 1993, over the last 20 years the Hedgren brand has perfected the craft of making long-lasting bags with a focus on functionality. 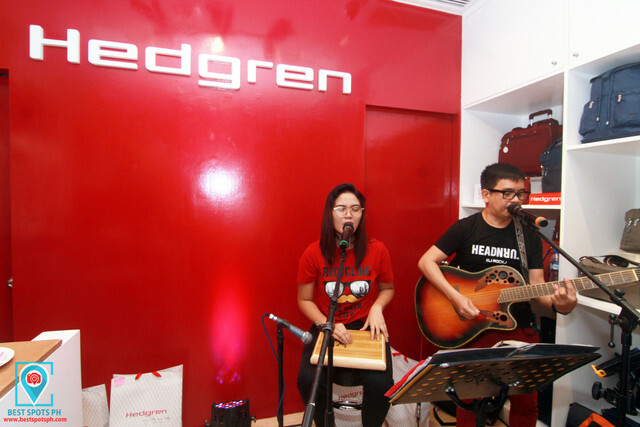 Hedgrens timeless designs embody the energy of the city with clever features, stylish structures and a casual European flair. 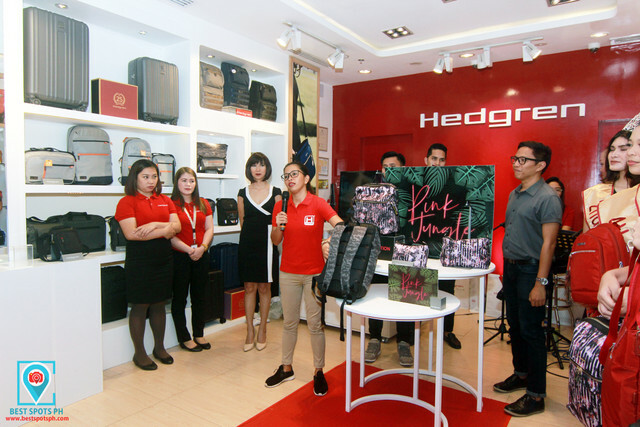 Hedgren together with Primer Group of Companies, officially launches their newest arrivals- "The Prisma Pink Jungle", a tropical-inspired innovative collection at Hedgren Centrio Mall-Ayala branch, the first Hedgren brand store in Mindanao yesterday September 25, 2018. 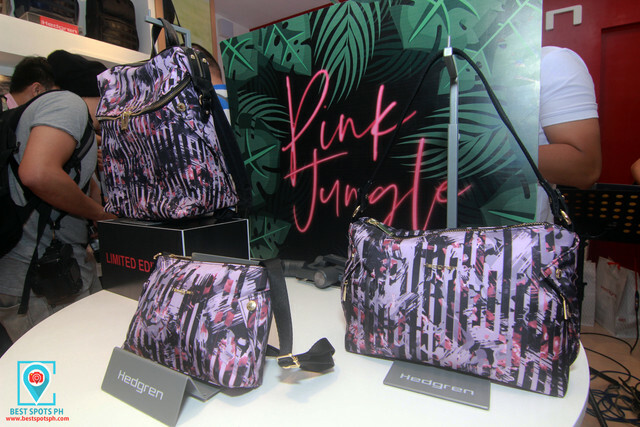 The Prisma Pink Jungle is a tropical-inspired, and a limited edition collection of bags such as the Paragonia M Backpack, Reflector Hobo, and a Triangle Crossover. 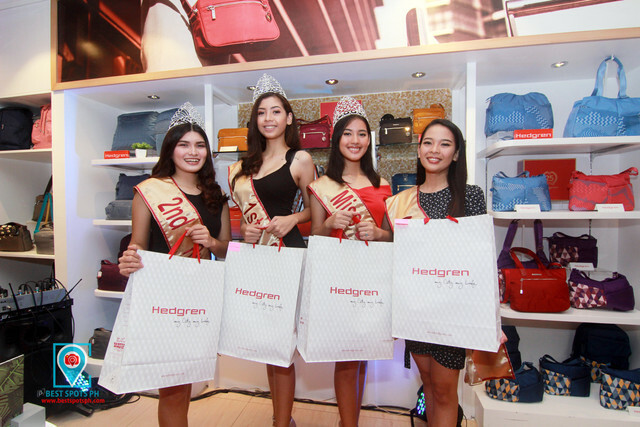 Each of these bags has its vibrant colors and exciting new design, taken the classic premium design, and given it an upgrade. With stunning light gold hardware, genuine split leather accents and the quirky triangle shapes on an exciting new design and vibrant colours taken the classic minimalist design with a much premium innovation, the Paragonia M backpack would fit right in, giving the space for everything you would need to survive amoungst the beautiful madness. The 0.68kg with 31.5cm (height), 27cm (width) 14cm (diameter) and a volume of 11.90 L lightweight, innovative look has functional features too, including interior features such as separate padded compartment for tablet, Main compartment has zippered pockets and key leash, and front compartment has two open slip pockets. For the exterior features, it includes padded adjustable shoulder straps and leather top carry handle, two zippered pockets, two zippered side pockets with nagnetic snap closures, and a split leather accents and gold tone hardware. High-quality, water-repellent materials make for a durable, long-wearing finish. The outer body material is made up of 40% Nylon and 60% Polyester while the lining material is 100% Nylon. With a bright, tropical innovative design sure to raise a smile, the Reflector mini hobo is a limited edition bag that retains all the Hedgren quality accents, including the eye-catching triangular shapes, stunning light gold hardware and genuine split leather accents. The Relfector Hobo has a dimension of 20cm (height), 26cm (width), and a 6cm (diameter). It weigh 0.32 kg and with a 3.12 L volume. It has a strap that can drop on a 65cm length, and a handle at 19cm length. The outer body material is made of 40% Nylon, and 60% Polyester while the lining material is 100% nylon. Interior features include zippered main compartment with two open slip pockets, one zippered pocket and key leash while exterior features removable handle and adjustable shoulder strap for a truly versatile option, two zippered side pockets with magnetic snap closures, and split leather accents and gold tone hardware. With its vibrant pink and black design and premium construction with an eye-catching triangle shape on both sides, genuine split leather accents and stunning light gold hardware, the Triangle Crossover is a bag made to stand out in even the most colourful of crowds. The dimensions include 14.5cm (height), 22cm (width), and a 3cm (diameter). Strap drop length at 65cm. It weighs 0.19kg and a volume of 0.96L. The outer body material is 40% nylon, and 60% polyester while the lining material is 100% nylon. Interior features front zippered compartment with an open slip pocket and key leash, and back zippered compartment with zippered pocket. The exterior features adjustable shoulder strap, two zippered pockets, and a split leather accents and gold tone hardware. 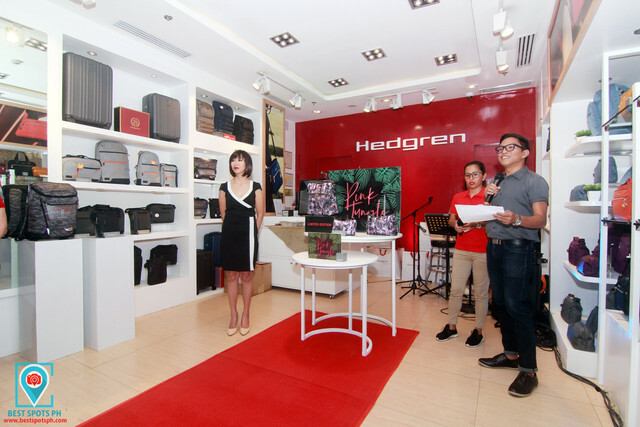 Aside of the newest collection, Hedgren also introduced the Splice Slim Backpack with 15" laptop compartment. 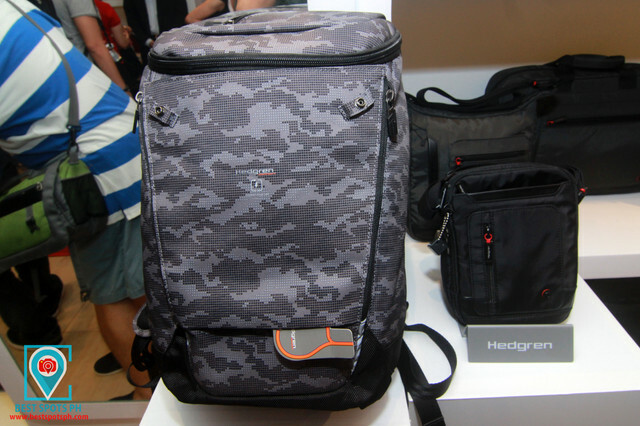 The Splice backpack have many pockets to accommodate your stuff. including open side options, an RFID pocket and compartments for the battery and devices allowing you to charge up using the USB patck. Interlocking zippers on the main compartment keep all the contents safe and secure. This backpack weighs 0.58kg with dimensions of 41cm (height), 27cm (width), and 11cm (diameter). It can accommodate up to 12.2 l. The outer body material and the lining are both 100% polyester. Interion features RFID blocking material to protect your personal information, front zippered pocket for battery (not included) and USB cable patch, possibility to charge phone outsdie of bah through cable patch, roomy main compartment has separate, padded laptop pocket that fits up to 15% laptop, and main compartment with one mesh pocket. 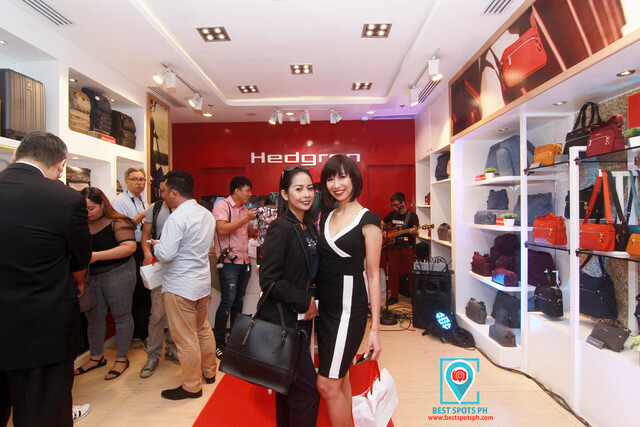 The exterior features padded adjustable shoulder straps, smart sleeve that enables you to stack your bag on your trolley handle, lockable zippers on main compartment, back exterior pocket with RFID blocking material, and a gun metal hardware. 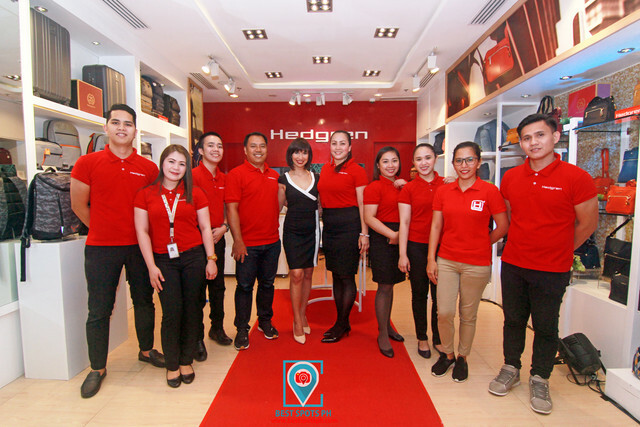 Yesterdays launching was graced by Ms Kitchie Uy of Passionista as the iconic image of Hedgren Cagayan de Oro and the Miss Liceo de Cagayan University Games 2018 winners along with the Primer Group of Companies executives, store staffs, Centrio Mall-Ayala Marketing Team, Department of Tourism Region 10, and selected bloggers and tri-media. 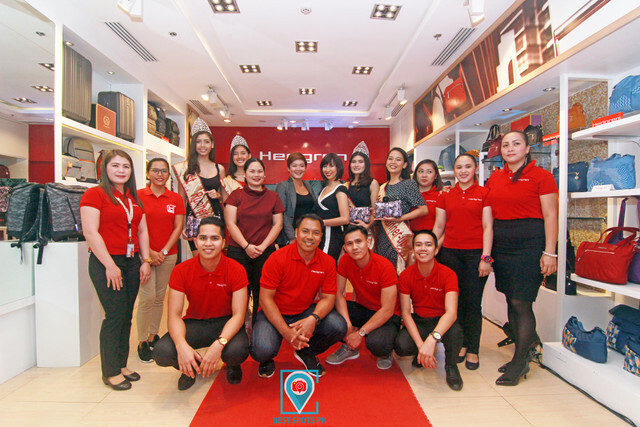 The event was hosted by Owen Jaen of 9000 Events. of Primer Group of Companies. 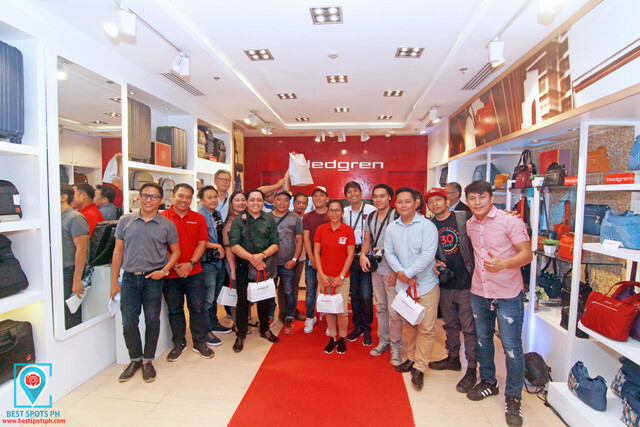 Hedgren is located at the 2nd Level, Centrio Mall-Ayala, Cagayan de Oro City and currently on sale on selected items until September 30, 2018.